Shop Kitchen Apparel, Restaurant Uniforms, Chef Jackets | SITEX Corp.
First impressions are instant. Nowhere are they more important than in food service, where visual appeal greets the customer, whets the appetite and adds sizzle. While dressing up your tables is absolutely essential, it is just as important to dress up your employees properly. Remember, your wait staff and employees are often the first interaction your customers will have in your restaurant. 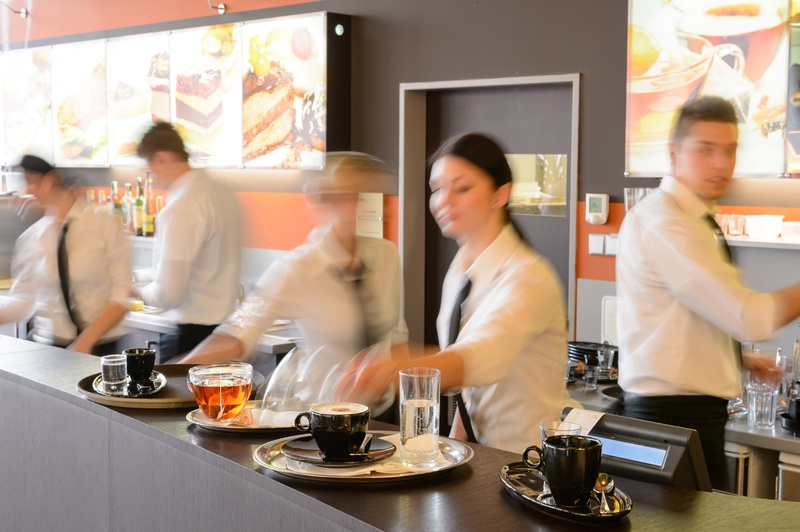 If they are in their street clothes, or are wearing heavily stained aprons, chances are, your customers might just leave before they even grab a bite. Or, they’ll stay and tough it out, but the whole time they’ll be anxious and looking for problems in your restaurant. 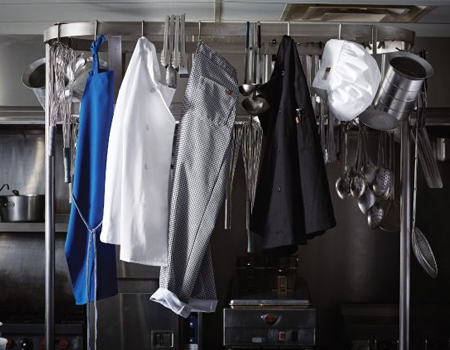 The solution is simple – dress your staff in high-quality kitchen apparel and maintain their uniforms with a rental/laundry service. Don’t wait any longer to select new uniforms for your staff – your business depends on it! And there’s no reason to search any further – SITEX has all your napkin, tablecloth and apparel needs to outfit your staff and restaurant. All SITEX linens are made of non-toxic textiles and have been approved by the American Society for Testing and Materials (ASTM) to be used in healthcare and medical services, food processing, and food service. We have a variety of chef and food service coats that can easily be customized with any names, titles or logos. Outfit every staff member with SITEX! 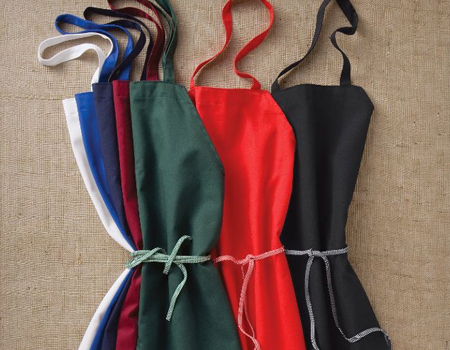 Server, bistro, and standard bib aprons, all made from ASTM-approved non-toxic materials, come in a variety of colors. Kitchen apparel says a lot about your business. Leave it to the experts to make your linens, apparel and facilities look great so you can focus on actually running your restaurant! Contact us at SITEX today at 270-631-2231 to learn more about how we can bring your restaurant from dull to phenomenal!